There are a lot of misconceptions surrounding new vehicle leases and Nate Wade Subaru, just up the road from South Jordan, UT, would like to help set the record straight. One of the biggest problems with purchasing a new vehicle is that its value plummets drastically the moment you drive it off the lot. Not only does this hurt an otherwise sound investment, it also opens the door to the difficult position of negative equity. Leasing offers solutions to these significant issues while also saving substantial money on monthly payments. When leasing a new vehicle from Nate Wade Subaru near West Valley City, UT, you are only required to pay for the portion of the vehicle's life specified in the terms of the lease. This allows for much lower costs up front than what comes with purchasing as well as far lower monthly payments. 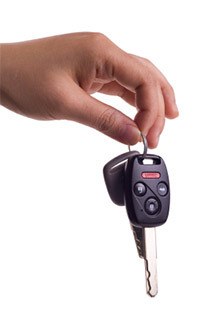 Most lease options also include maintenance which is another cost reducing aspect to leasing. Since it is rare for a manufacturer warranty to expire during a lease term, you always have a vehicle covered under warranty. Once the lease term expires, you will be in prime position to jump in the next big thing from Subaru without the hassle of negative equity or being stuck in a frustrating conversation regarding the value of your trade in. Leasing has come a long way and is now an excellent option for anyone who appreciates all of the benefits of always driving a new Subaru without the inherent downside of purchasing. The finance team at Nate Wade Subaru is among the best in the business so bring them any questions or concerns and start enjoying the world in a new Subaru. Here at Nate Wade Subaru, we are proud to offer residents from Sandy, UT one of the largest selections of new Subaru vehicles with purchase and lease specials to fit nearly any budget. Those looking for a quality used or certified pre-owned vehicle will certainly find the right one in our huge inventory. Our knowledgeable sales consultants strive to provide exceptional service and stand above those who give the business a bad name. Getting the most out of a vehicle is easy with the help of factory trained technicians in our leading-edge service department. For those who enjoy performing their own repair and maintenance, our parts department is well stocked with genuine Subaru parts and accessories. Take the short trip from Bountiful, UT and see why Nate Wade Subaru is among the elite few dealerships to earn the Stellar Care award at 1207 South Main, Salt Lake City, UT 84111. Questions about leasing and anything else can be answered by our sales department at (888) 586-8323.